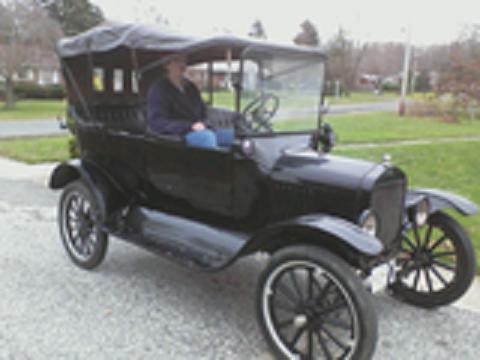 This is my first Model T. It was restored about 25 years ago. I got it running, and have driven it around the block so many times that the neighbors are tired of listening to their dogs bark. This is suppose to be a 1919, but I haven't checked any numbers yet. Have to admit, I like it. Can't wait to repaint it though. The laquer paint is really chipping and peeling. Welcome to the group, Can you post a picture. Welcome. It sounds like you're excited! We're excited for you too. 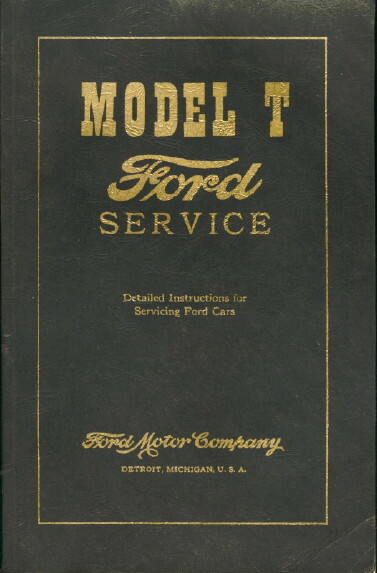 You've found a wonderful resource here with all these Model T people on the forum. I wish you the best. Please post a picture. We want to see it! I'm not sure how to post a pic. Apparently... the file is too large? Is there a quick way to recue the size? Welcome to the affliction!! I am getting close to 50 years now. And I am not yet 60! The bmp file doesn't work. Try it as a jpg. Worked fine for me. Nice looking touring, but probably easier to drive if you get behind the steering wheel. Driving from the passenger seat doesn't work too well. Very nice car. You will enjoy it. Hmmm.. but there is no door on the driver's side LOL. I have been looking at the Rocky Mountain Brakes. If I buy a kit, will it include the parts to put brakes on both the passenger and drivers side? I replaced the hoses yesterday (after 25 years they sprung a leak) and I will be ordering a new belt. The nexct repair is to reweld the front fender brace. I will also be ordering a new gas tank. The one I have is full of rust and looks like it has been patched with putty a few times. I always tell new owners these are the first Model T parts they should buy. They'll save you a lot of grief and expense. Example: Trying to remove the starter without knowing the "secret" ahead of time can do some costly damage. I'm with Steve on that one all the way! Those books are the best investment you'll make besides the car. Welcome to the hobby! Why was the fender brace welded? They are forged out very good steel and seldom break, They are bolted to the frame and slip into a bracket on the under side of the fender. Good used fender braces are available. The fender brace for the driver's front fender is broken, right where it slips into the bracket. Not sure why, but I have both pieces. It is a simple weld, but a good used one would be nice too. I will send you an email John. Also looking for a spare tire mount as well as a luggage rack. What size tires? I have several different kinds of luggage racks email above. Jerry, if you mean an accordion style running board luggage rack, don't be in a hurry and spend a lot of dough. The last one I bought at a swap meet was $3. That was unusually cheap, but $10 or $15 is fairly common. Patience pays. I live in the Maryland area, are there good swap meets around? I have heard of Hershey and Carlisle, but have never been to either one. 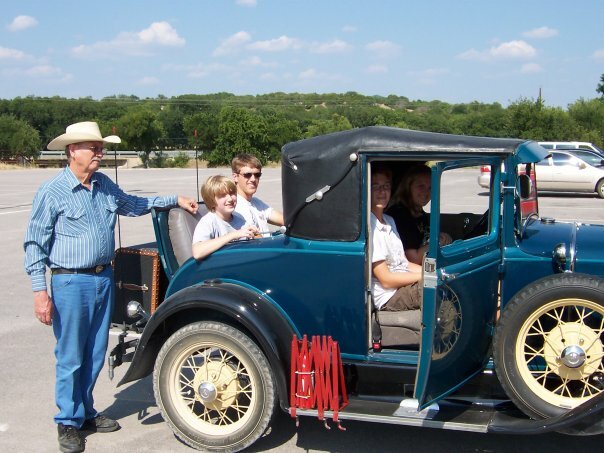 My dad lives in Texas and has a few cars. 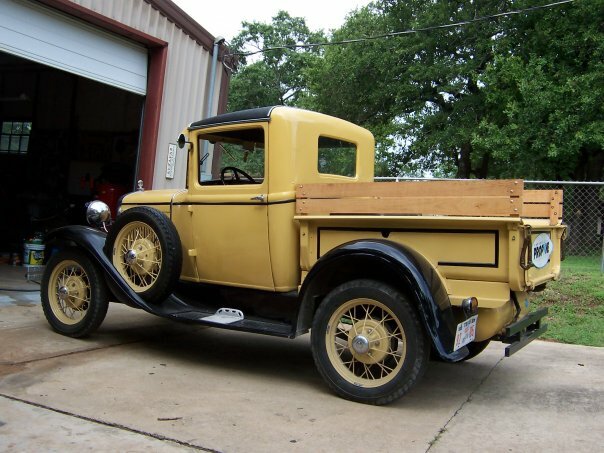 All Fords... a 31 pick up truck, a 31 Sport Coupe, a 29 Tudor and a 29 Chain Gang turck. He has owned the pickup since 1961. He paid a $100 for it and had to wire the doors shut with baling wire so he could drive it home. For fun, he converted it to run on propane. A few summers ago my mom and dad drove the sports coupe from Texas to Alaska and back. I guess this runs in the family. If you have trouble finding locals who may become 'new best friends' to look things over or offer advice,let me know...not too sure just how populated NE Maryland is T-wise. I'm about an hour away when I'm home, and when I'm in USA for months at a time, do find myself driving back and forth between Edgewood or Sparks and Cherry Hill (Philadelphia Area)every few weeks for business.